With Mother’s Day almost upon us, and International Women’s Day also approaching, this is the perfect time to show the women in our lives how much we love and value them and their achievements. If there’s anything mums love almost as much as their families, it’s their families showing their love and appreciation right back. 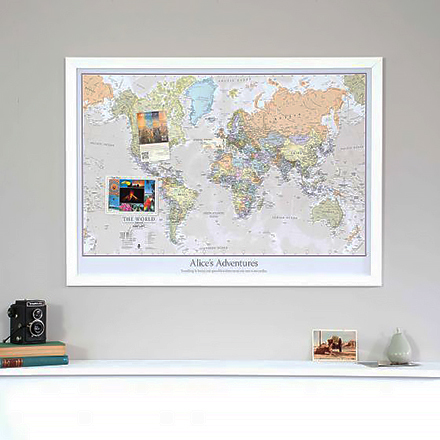 Our personalised UK postcode prints are a thoughtful way to remind her that she’s always in your heart, wherever you may be in the world. it was the first house you both lived in? Or was it that special holiday you took together? It may even be her favourite walk! 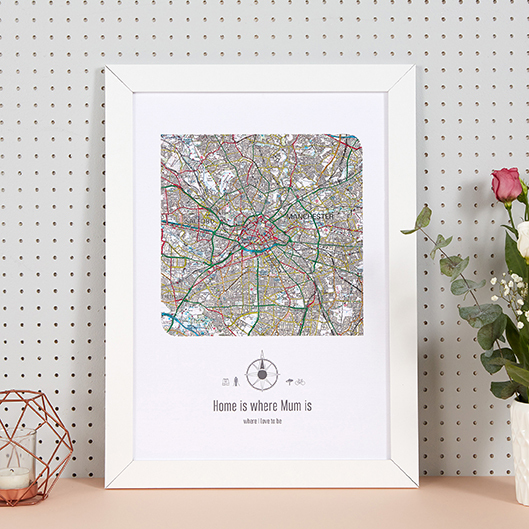 Personalised Postcode Maps like the one above, are a great way to cherish moments like these with your mum, and put a smile on her face! 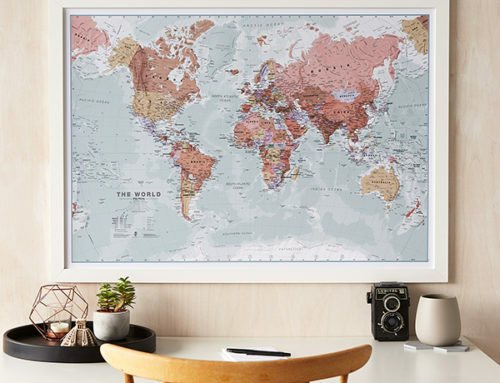 Or make a bold statement with the Mother’s World print, that makes a stunning addition to any room in the home. Some mums prefer to stay closer to home, but others travel the world – either in search of an adventure, pursuing big career ambitions and goals, or to make the world a better place for others. 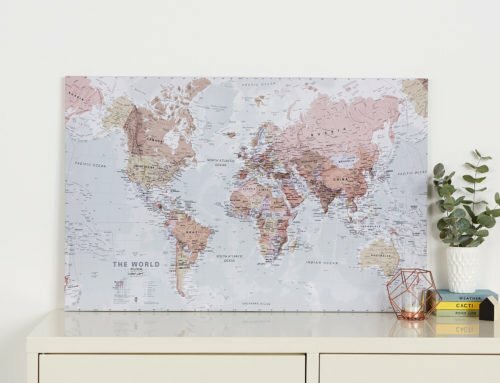 Show her you’re proud as punch of her, with a personalised world map print for her to mark off every travel, project, or career milestone. 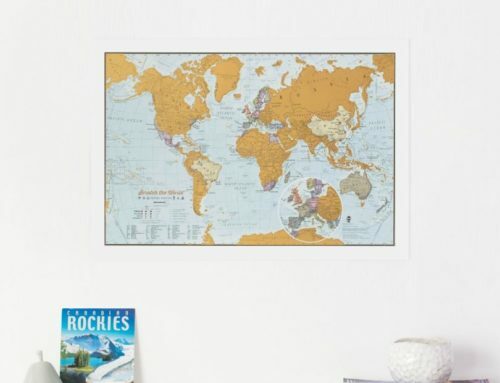 One fun way to mark these off is with colourful pins on the map, as we’ve done above! 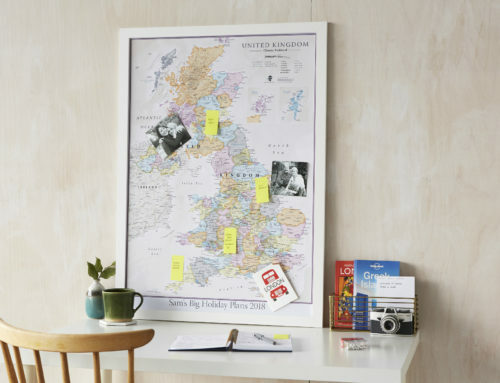 Our maps come mounted on a pinboard so you can very easily use push pins to reminisce about your travels! Whether mum works hard in the home, the office, or around the world, she’s likely to enjoy a spot of Gin o’Clock when she finally gets chance to relax and enjoy some well-deserved quiet time! Why not challenge her to try 75 specially selected gins from distilleries around the UK and chart them on her own personalised Scratch print? 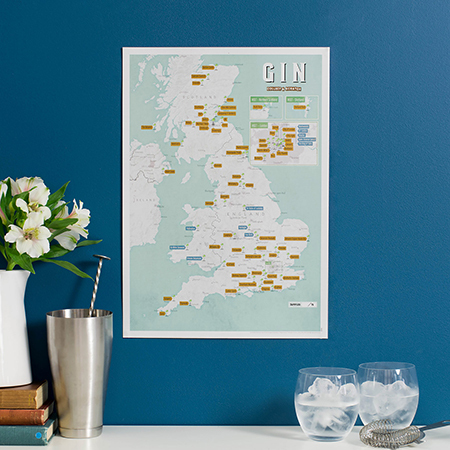 Each distillery on this stunning map is marked with a goblet, so you could make a day off this map, choosing distilleries near you to visit with your mum, sampling the best gins around the UK.